With autonomous vehicles gaining mainstream attention, the challenges that come with the tech are being scrutinized. The biggest of these is the threat of hacking. In an experiment three years ago, Wired correspondent Andy Greenberg drove a Jeep Cherokee which was then controlled remotely by hackers. They gained access to the car’s controls through its infotainment system. The stunt went viral, and in that same year, 1.4 million vehicles were recalled by Chrysler due to the same vulnerability. If a vehicle can be overridden through its infotainment system, the same scenario is equally–or even more–possible for autonomous vehicles. They are reliant on more software and require constant connectivity, which in turn opens up more windows that can potentially provide remote access. Hacking threats such as this make many people apprehensive when it comes to self-driving technology. In fact, a survey by insurance company American International Group in 2017 revealed that 41% of consumers have reservations about self-driving cars. Furthermore, the potential dangers surrounding self-driving cars was witnessed in a crash involving an Uber driver earlier this year. While in autonomous mode, the safety system of the Volvo SUV did not engage after it detected a pedestrian, and the car ended up hitting a woman crossing the street. Albeit this wasn’t due to hacking, it’s a prime example that self-driving technology is still greatly flawed. Hackers can exploit these vulnerabilities to commit all sorts of felonies. The tech’s risks far outweigh its benefits at the moment, especially for private car owners. Companies with self-driving vehicles can at least deploy cyber security measures from third-party providers to help keep their software systems secure. The general public, on the other hand, can only rely on security measures pre-installed in their self-driving car systems. On the bright side, many car manufacturers and cybersecurity experts are confident that better intrusion prevention technologies will eventually overtake persistent hacking fears. 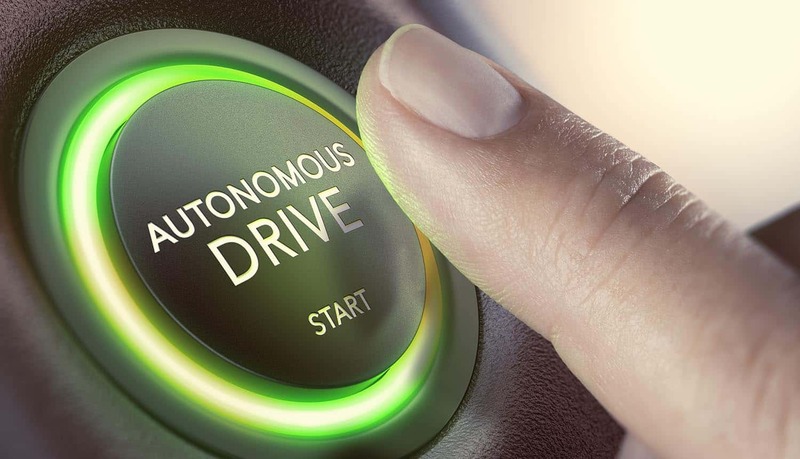 Craig Smith, research director of cyber analytics group Rapid7, believes that fully autonomous vehicles will be much more difficult to hack than they are perceived to be. Note the use of the term ‘fully autonomous’. Self-driving cars currently rely on one or two sensors for object detection, but Smith points out that those fully autonomous vehicles will have multiple sensors and communication layers. Given that it can already be tricky to hack a single sensor, a cybercriminal will certainly have a more difficult time hacking into a complex sensor system. A multi-layer setup is needed to be able to access real-time traffic and pedestrian data constantly. All of this can be coordinated by artificial intelligence, which can easily guard itself or send an SOS signal at the first sign of attack. Research in other fields is also converging on the autonomous vehicle sector. AI and IoT-related technologies are now pushing to create intelligent systems that integrate networked information to make autonomous driving safer. Coventry University’s Institute for Future Transport and Cities is collaborating with London-based cyber security startup Crypta Labs to develop secure encryption systems based on quantum mechanics. These ‘quantum random number generators’ are not much different from blockchain-based systems that secure decentralized information away from any hacking attempt. Despite these assurances though, some people are still hesitant to leave the issues in their rear view mirror. While safety is among the top priorities in autonomous vehicle design, the technology itself has some moral gray areas. For instance, while a human driver has the moral capacity to make decisions during extreme situations, an AI’s decisions depend on how it was programmed. CPO Magazine previously discussed problems in electro-ethics, or how technological design reflects certain moral biases. Hacking complicates the overall picture, as the human owner needs to trust the machine not only to make sound driving decisions, but also to be able to guard itself against attacks. For better or for worse, autonomous vehicle manufacturers seem intent on staying on the right track. In fact, many companies are already gearing up for the technology’s commercial potential. Last February, Google’s Waymo was given the green light to operate in the Phoenix area. The vehicle telematics sector is also preparing technologies to counter hacking. These scenarios are more probable for long-haul and high-volume vehicles like freight trucks, because they generally transport valuable cargo. Although autonomous trucks are still in the testing stage like self-driving cars, Verizon Connect claims that using advanced fleet management software is already becoming a necessity in the industry. These systems can do more than just track big rigs, as they can also be used for monitoring the status of their cargo in real-time when combined with other tech like weight sensors, temperature fluctuation alert, etc. With self-driving technology for large-scale commercial use on the horizon, we can only assume that stronger countermeasures against hacking will be created.